I’ve just received an interesting piece of information from the US-based Jewish Voices for Peace, an excellent organisation which easily dispels the myth that all Jews are Zionists, they’re not. In fact many Jews do not agree with Israel or are part of the pro-Israeli lobby. JVP has dozens of grassroots groups across America and they’re all dedicated to opposing anti-Jewish, anti-Muslim, and anti-Arab bigotry and oppression and are working tirelessly to end the Israeli occupation of the West Bank, Gaza Strip, and East Jerusalem among other aims in the region. Today Ari Wohlfeiler, the Deputy Director of JVP, informed me that according to research 1 in 9 Facebook posts written about Palestinians contains a call for violence or a curse. And in Israel hate-filled ANTI-Palestinian posts go up every 71 seconds! “Yet incredibly Facebook removes 10,000 Palestinian posts each year, through an extraordinary agreement with the Israeli government,” says Wohifeiler. He goes on to accuse Facebook of “actively pulling Israel/Palestine apart” and so has decided to target Mark Zuckerberg in JVP’s latest campaign to “get Facebook to stop blocking Palestine, and start taking on hate speech against Palestinians”. He reveals that in March Facebook shut down hundreds of Palestinian media and activists accounts, including the controversial Safa Palestinian Press Agency which has 1.3 million followers. Wohifeiler adds: “The justification for this muzzling is to stop “incitement” under an agreement where Facebook acts as the enforcer of Israel’s apartheid laws that lumps activists together with terrorists to shut down dissent. And the Israeli government isn’t shy about getting Facebook to do their dirty work: their own stats show they’ve asked for 12,000 posts to be taken down! I’ve signed the petition already and if you want to then go on to the JVP website here. 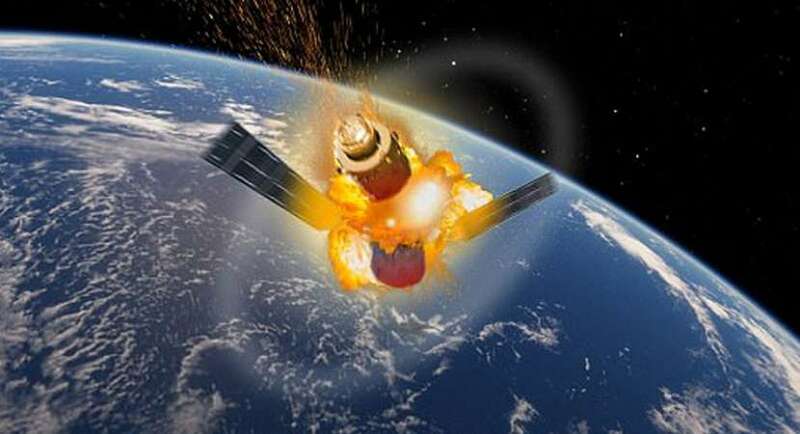 Apparently the now defunct Chinese space lab Tiangong-1 is plunging to Earth and could crash land any day soon! But fear not because space boffin Richard Crowther from the UK Space Agency reckons the risk of any parts of Tiangong hitting a populated area is considered very low. He and other experts around the world reckon that the module will probably burn up during re-entry with any “surviving fragments” falling in to the sea. I remember researching a story about the chances of being hit by lightning after experts, proverbs and statisticians claimed lightning only strikes once! I was writing a story on a woman called Mrs Quin from Craghead, near Stanley in County Durham who was hit twice in two years. I learned that there’s around a one in 700,000 chance of being hit once so she was really unlucky to fall victim to a lightning strike twice. Bearing in mind 3,696 deaths were recorded in the America between 1959 and 2003, these sort of statistics if you’re prone to bad luck, don’t exactly instil confidence. So my advice to Mrs Quin and others like her would be “stay indoors until it crash-lands!” Having suffered the consequences of being in the wrong place at the right time, I will indeed be keeping an eye on matters overhead. There were only two candidates on the Egyptian ballot paper: the current President Abdel Fattah el-Sisi, and one of Sisi’s supporters whose name I can’t even remember. Suffice to say the former general got around 90 per cent of the vote and with voters turnout around 42 per cent that isn’t a great achievement, is it? Another figure to wrestle with was the enormous number of spoiled ballot papers which reportedly exceeded the number of votes cast for Sisi’s challenger by more than two to one—an even greater share than in 2014. According to my man at the polling count, more than a million of those papers spoiled saw the challenger’s name scratched out and Liverpool striker Mohammed Salah’s name inserted instead. Egyptians night have lost their hard won democracy in the Arab Spring but at least they’ve not lost their sense of humour. Most of us sneer and deride Trump Tweets but the so-called leader of the free world does seem to have an impact and influence. For instance Amazon shares fell almost 5 per cent on Wednesday, wiping more than $30bn (£21.4bn) off the market value, after it emerged Donald Trump said he would rein in the company’s growing power. President Trump has talked about using antitrust laws to “go after” the company because he is worried about mum-and-pop retailers being put out of business by Amazon. He says he wants to change Amazon’s tax treatment. Could this be because Trump’s wealthy mates say Amazon is destroying their businesses? Last August he tweeted: “Amazon is doing great damage to tax paying retailers. Towns, cities and states throughout the U.S. are being hurt – many jobs being lost!” Of course there’s also the added bonus for Trump that one of his media nemesis, The Washington Post, is owned by Amazon founder Jeff Bezos. The clock is ticking as the UK’s largest companies have less than a week to publish their gender pay gap figures. As the April 4 deadline looms 6,240 firms have disclosed the difference between what they pay male and female employees but there are still 2,760 who’ve yet to comply. Companies who fail to provide their data by next week will face legal action, the government has confirmed. The lovable Geordie roadshow that is Ant and Dec ground to a shuddering halt when troubled star Ant McPhartlin was charged with drink driving last month. So I watched with curiosity as the first episode of their eponymous Saturday Night Takeaway was broadcast. Yes, the show must go on but, with the best will in the world, Dec was lost without his on-screen partner of 30 years. My message is simple: “Get well soon Ant and hurry back, lad”. If anything was proved on Saturday night it was that there is no Ant without Dec and vice versa.